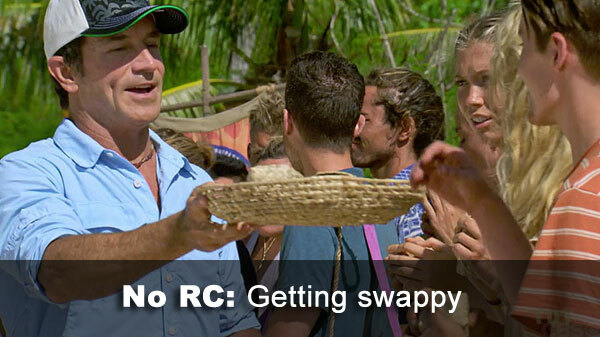 Ep.3: "Only Time Will Tell"
Ep.3 Reward challenge: None, swap instead. And a swap to two tribes, not three. 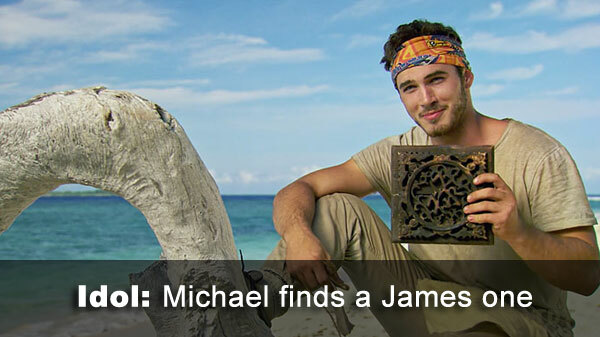 Ep.3 idol: Michael finds Malolo's idol, which is one of James's China idols. Ep.3 Immunity challenge: "All Along the Watchtower" - Kellyn & Bradley ace the puzzle, and new Malolo wins. 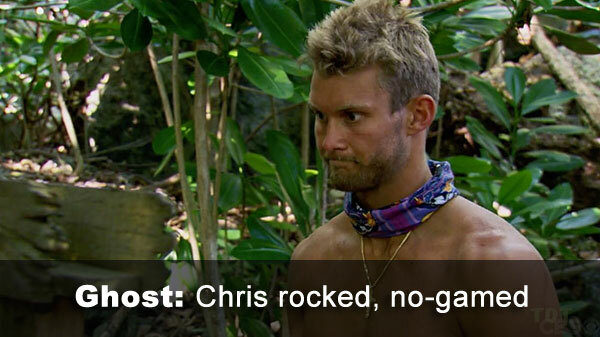 Ep.3 Ghost Island attendee: Chris, selected by drawing rocks. Then blocked from playing a game by the urn. 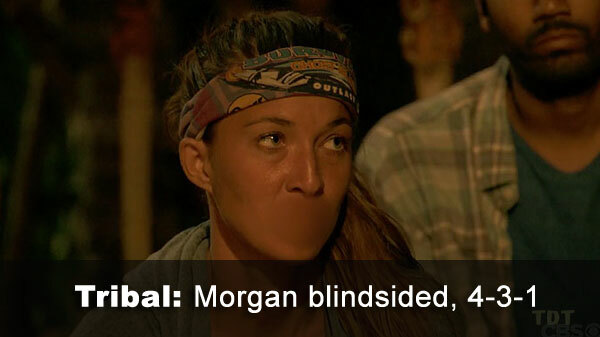 Ep.3 voted out: Morgan, 4-3-1 over Angela and Libby, respectively, as Malolo games the Naviti split. Morgan wills the Legacy Advantage to Domenick. Notes: Probably nobody cares, but the idol Michael found appears to be the one from Fei Long, which Todd and Amanda (and Frosti) found, then handed off to James. So three episodes in, we know have two regular idols and a Legacy Advantage/time-restricted idol in circulation. - Morgan received 4 votes, from Donathan, James, Laurel, and Libby (voted out, 4-3-1). - Angela received 3 votes, from Domenick, Morgan, and Wendell. - Libby received 1 vote, from Angela.